Is this the reason he was killed? 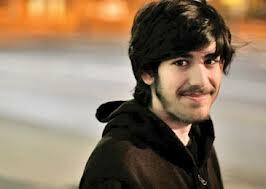 The events at Sandy Hook likely attracted Aaron Swartz's attention. He would then start researching on the Internet to find the truth, using the needed tools, which he was intimately familiar with. RSS feeds, the standards of which he helped put in place, allow search engines to report news items created on the Internet, about important events, almost instantly. Being an expert on how RSS feeds function, and where the records that such feeds create are stored, he then likely started to search through those records to see what he could find. Aaron likely discovered the RSS feed record the Arlington Schools Website sent out that announced, rightly or wrongly, that the horrendous events at Sandy Hook School occurred on December 10th, 2012, 4 days before they actually happened on December 14th 2012. Discovering the RSS record would have allowed Aaron to find the Google cache record displayed as evidence in our investigation, with only one click. In the normal course of events it is highly unlikely anyone would ever have found that cache record. Only the RSS record would publicly show it existed. To initially find the record directly in the cache would require someone knowing the document's exact URL and name. If no one knew of the documents existence, they could not know what to look for. Whoever the person was that first found the document in Google's cache, we all owe them a huge debt of gratitude. I strongly suspect Aaron was actually the one to discover that record at Google. He likely paid for that discovery with his life. With that highly likely possibility in mind I would like to dedicate this Investigation to Aaron. Whether or not he was the one who first found this record, his efforts in developing RSS feeds were instrumental in their being discovered. We all owe it to Aaron to make sure that his efforts to make the world a better place were not in vain. We must continue the struggle he was engaged in, and attempt to build upon his efforts, until the world is a place of justice and honor such as he attempted to create. This investigation would not be taking place without principled people like Aaron struggling to protect everyone's rights.